Let’s Celebrate! Adults, 19 and over, will be treated in December to a meal at Brio’s Tuscan Grille in Newport. Each person with spina bifida who attends will receive a $30 gift card to use towards the purchase of their meal. 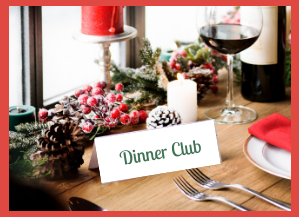 As always, partners, friends, spouses and parents are invited to join any Dinner Club meeting. We look forward to spending time with you during the holidays. Register by Monday, December 5th to let us know you will be attending.